Deciding on the right fastener is a vital part to completing a successful job. Various projects can require the use of several different types of fasteners, such as nails, screws, nuts, bolts, and anchors. The use of a wide variety of fasteners has a long history – for instance, what resembles a modern-day screw is thought to have been around since about the 3rd century BC in Greece and by the 1st century BC, wooden screws were often used in the Mediterranean world. Nails are thought to have been created in ancient Egypt around 3400 BC. In this article we’ll cover a summary of some of the most commonly used fasteners – particularly, screws, nails, anchors, staples, nuts and bolts. 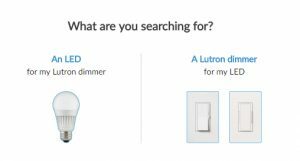 Additionally, examples of applications will be provided to help offer direction on how to choose the right type of fastener for use on a particular project. Different types of screws are used for differing job applications. For instance, some types of screws might be more suited for outdoor projects manufactured to withstand certain elements. In other applications screws can be utilized in areas that are not meant to be visible providing a cleaned finished exterior look. Steiner has several types of screws available – from anchor screws, cap screws, locking screws, drive screws, eye screws and more. The advantage of screws is that they securely hold in place, rarely loosen, and can also be easily removed when need be. 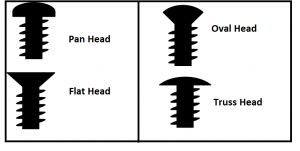 Screws have a variety of different types of heads – for example, Pan heads are one of the most common types of heads that are found on a screw. They are rounded and have short vertical sides that provide a low profile once they are driven into a surface. Flat heads are countersunk and designed to sit low in the surface which the screw is drilled into. Oval heads provide a combination of pan and flat head types with the head being slightly rounded. The oval head provides a more decorative finish. 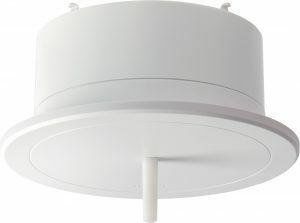 Truss heads have rounded tops with a large and flat underside. This provides a very low profile that still stays above the line of the surface. Just as the type of screw used depends on the application or project – likewise, the type of nail used depends on the application. Like screws, some nails are for use indoors and others outdoors. Nails can be easily installed – using an air gun makes installing nails even easier. Nails provide a low cost and are useful for construction projects such as securing cabinets and shelving or installing roof panels. There are two general rules that can help with the selection of the type of nail that can be used in any given project. The first is that the nail should be at least 3 times the length of the material that the nail will be nailing through. For example, if you are nailing 1/2″ sheathing on an exterior wall you should use a nail that is at least 1 1/2″ long. 1/2″ x 3 = 1 ½″. The second rule is that the nail used should be able to penetrate the item being nailed to and not completely go through it. Using the same example of a ½” sheathing, you will need a nail that will be 1 ¼” long. ¾” + ½” = 1 ¼”. Bolts are to be used when nails aren’t applicable and screws don’t provide a strong enough hold. A bolt is a type of screw that is used for holding together objects, while the nut is a small metal object that is fastened to the bolt. Nuts and bolts are almost always used together. Nuts and bolts are extremely secure and have a high load bearing. When a bolt runs through the nut, it creates a strong bond that is able to handle great amounts of stress. Sizes vary for multiple types of projects. To tighten bolts and nuts, tools will be required. They can also be easily removed. Anchors come in several different types – there are concrete anchors, pipe anchors, screw anchors, wall anchors and wedge anchors. Anchors are usable for projects involving walls. Many types of anchors can be used to join wood or metal with concrete, mortar, brick, tile or stone. Staples are another common fastener used in construction projects. The crown of a staple can bridge materials that are butted together. The crown also provides a bigger surface area than other fasteners, which can be helpful with thin materials. While staples can be installed very quickly and serve as a great temporary fastener, they also have the added convenience of being loosened or removed easily. Staples can be inserted through the use of a staple gun. Some staple guns use arched staples for fastening small cables, e.g. phone or TV, without damaging the cable. Planning any construction or building project involves several factors. Choosing the right fasteners is a key component to completing a successful project. Before purchasing fasteners, contractors should understand the intended application for each type of fastener to ensure their proper use. Additionally, with the right fastener, finding the right tool is also a necessity before starting construction. 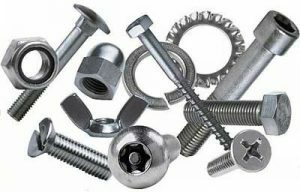 Steiner has a wide selection of fasteners in addition to the tools needed to properly install those fasteners. 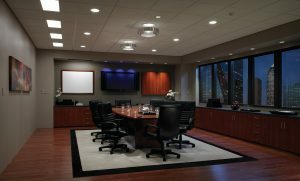 Find tools and fasteners on www.steinerelectric.com or visit your nearest Steiner location.